I'll be honest. It is only November and I feel like I am already out of creative ideas for the water play tank! The weather is cooler now, so we don't want the children to get too wet (parents are rather opposed to sopping children in 50 degree weather!) 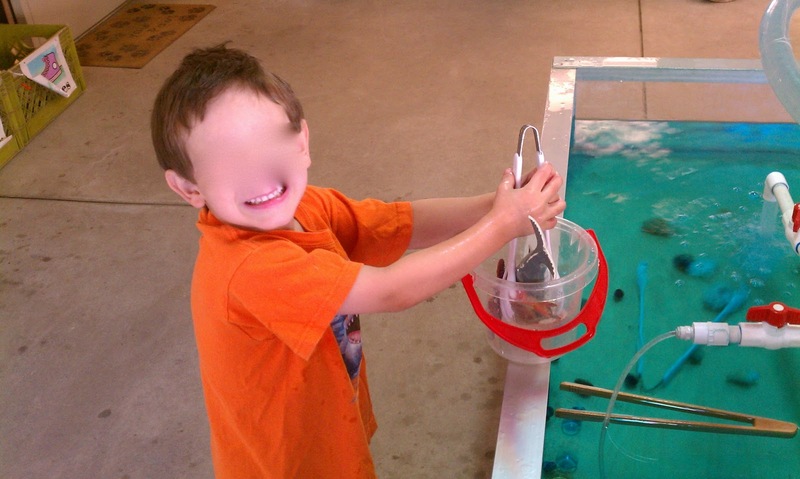 but we still want to engage the children in water play since it is an integral part of childhood learning. 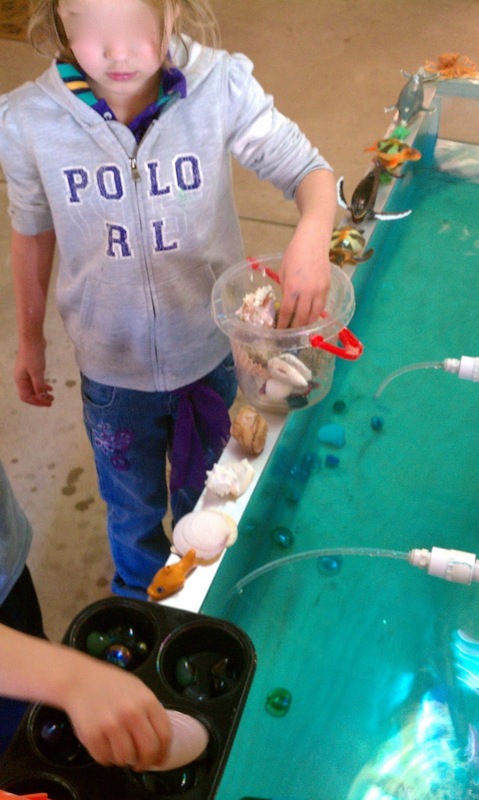 We've used siphons, cups, jugs, measuring spoons, sea animals, glow sticks and shells. We've added various colors, bubbles, and glitter. So what else is there? 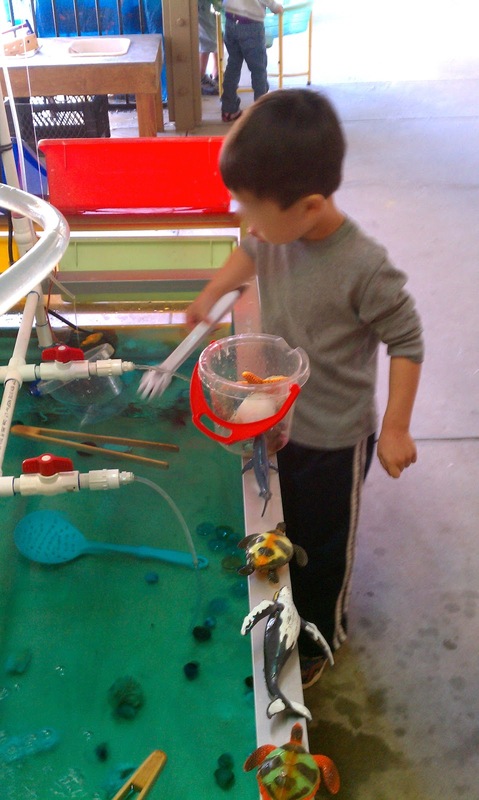 I was struck with a memory of using small tongs in the classroom to pick up various items as a fine motor activity, so I decided to apply this same activity to the water table on a larger scale. 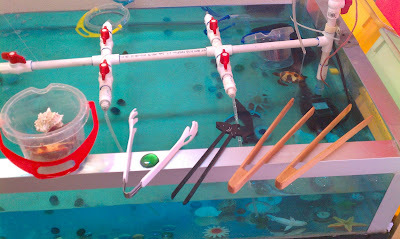 I picked up some large bamboo tongs, plastic salad tongs, large slotted spoons and child-adapted chopsticks. 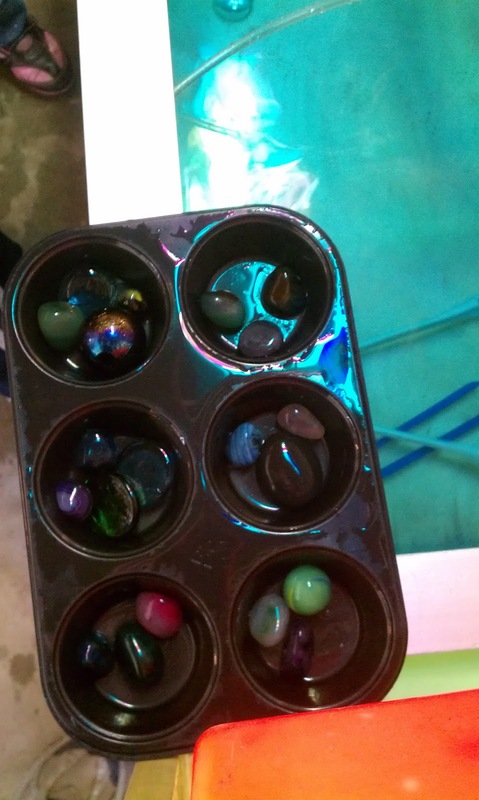 I threw in some small sea animals, shells, and colorful glass "vase gems" (assorted shapes and sizes). I also set out some buckets to collect the items and a small muffin tin. 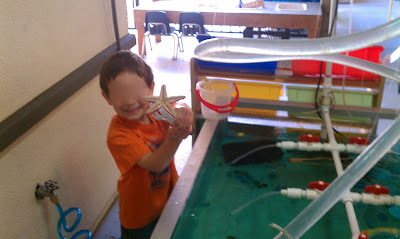 The pre-K children enjoyed this activity so much! I think it reminded them of a treasure hunt. The challenge of picking up items on the tank bottom with the tongs added interest and challenge! For a great article on the benefits of water play, visit Community Play Things (provides a fantastic list of water play enhancers) or Write Out of the Box (a great article to pass out to parents who may feel that water play is just "play"). Enjoy!